Danziger announced two additions to its global management team. 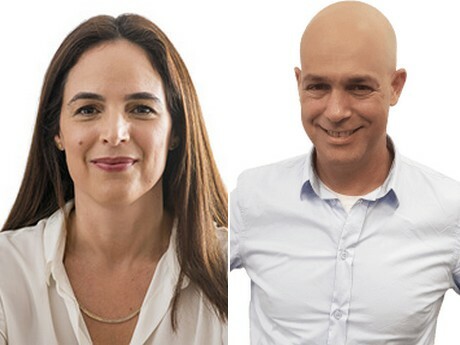 Liat Shemer is the new global marketing manager and Amir Dor is the new sales director for bedding plants outside of the U.S. The two new team members started with the company at the end of 2018. Shemer holds a BA in economics from Haifa University and an MBA in marketing from the College of Management Academic Studies. Contact Liat at liat.shemer@danziger.co.il. Amir Dor has more than 20 years of global sales and distribution experience. In his work with a wide variety of consumer packaged goods companies, he has managed key accounts, developed worldwide sales and distribution networks and driven business development. “Amir’s results-oriented, customer satisfaction focus make him a great addition to our company,” adds Ori Danziger. “His international business expertise will help our global sales teams continue to thrive.” Dor holds a business degree from the Open University of Israel and an MBA in business administration and management from Solvay Business School. Contact Amir at amir.dor@danziger.co.il.